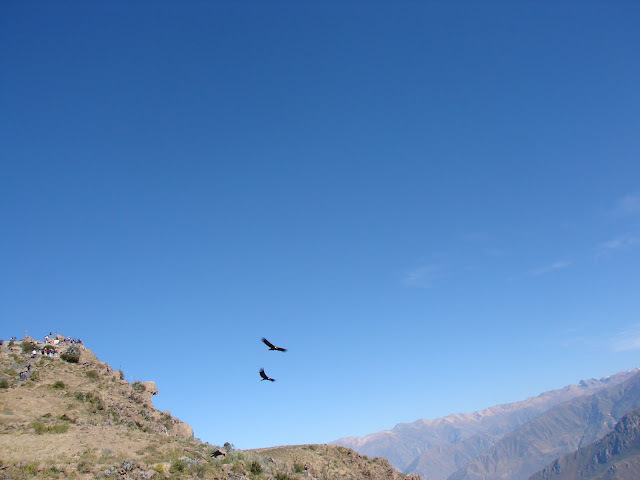 "We take to the breeze, we go as we please." 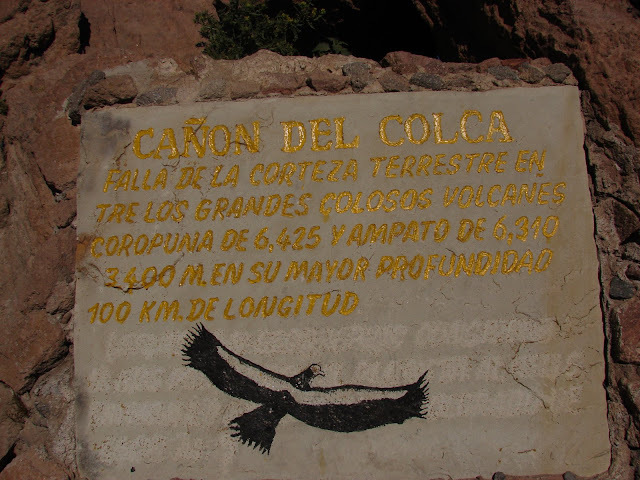 Took the bus at 6 am to go to Condor Cross. 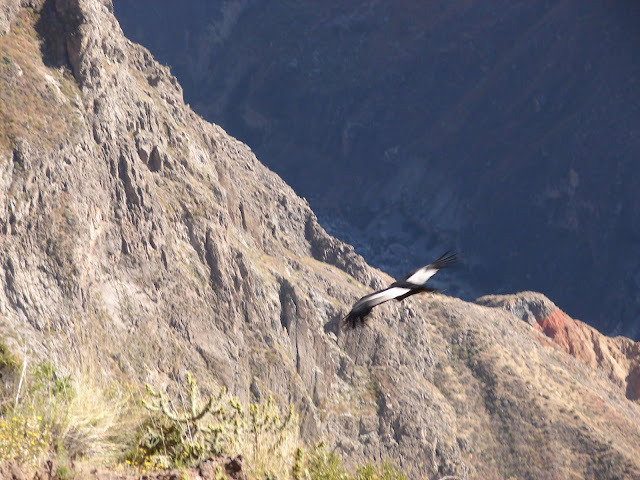 This is the site at the Colca Canyon which is best for viewing the Andean Condors soaring in the Andes. 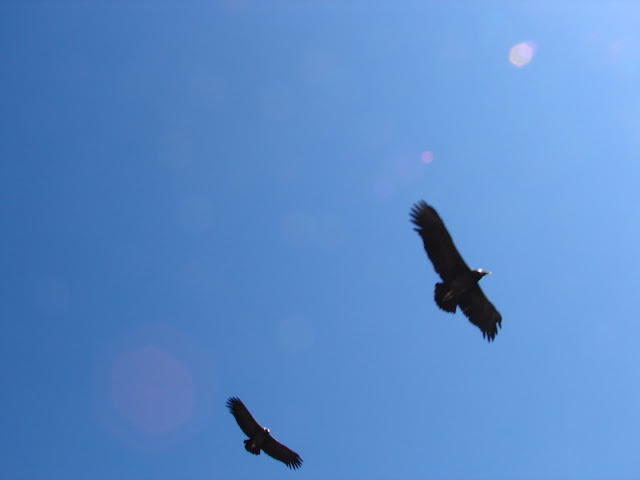 The Condors, about 7 of them, would almost appear out of nowhere catching the updrafts of wind in the canyon. 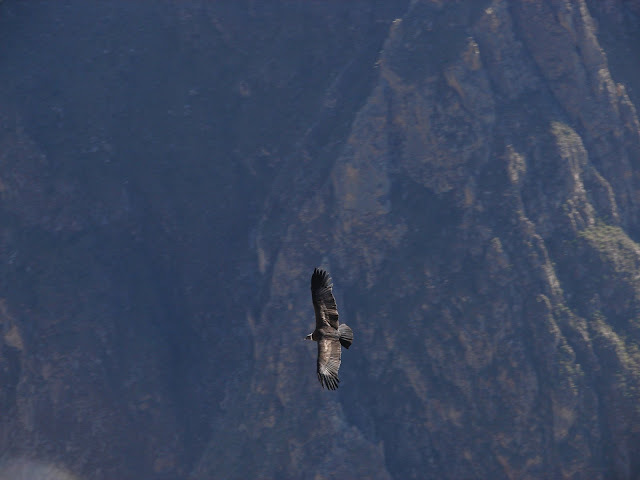 At times they would fly only 15-20 feet over our heads. 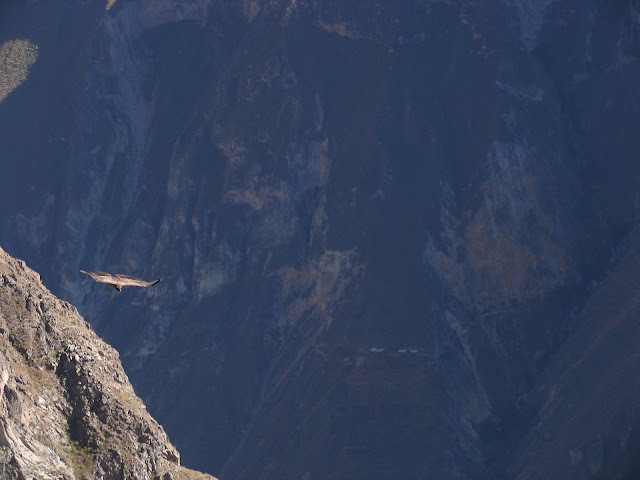 It was nature at its finest. 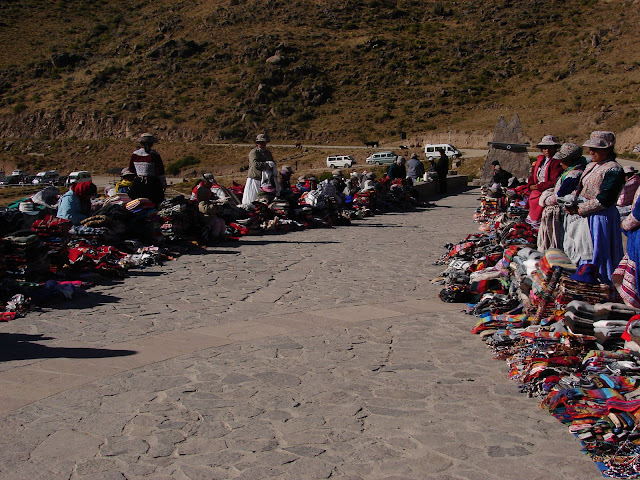 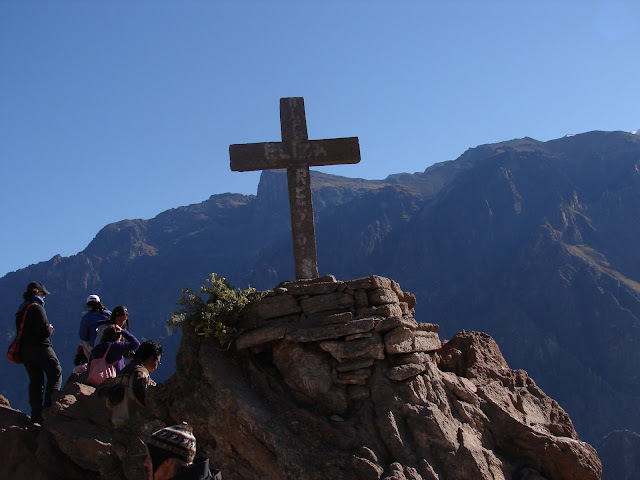 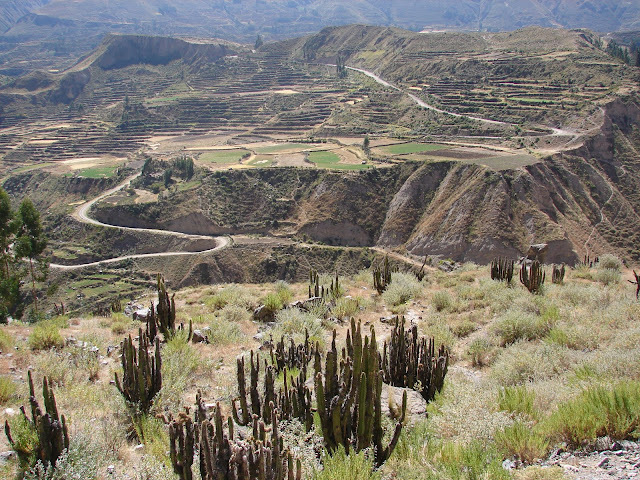 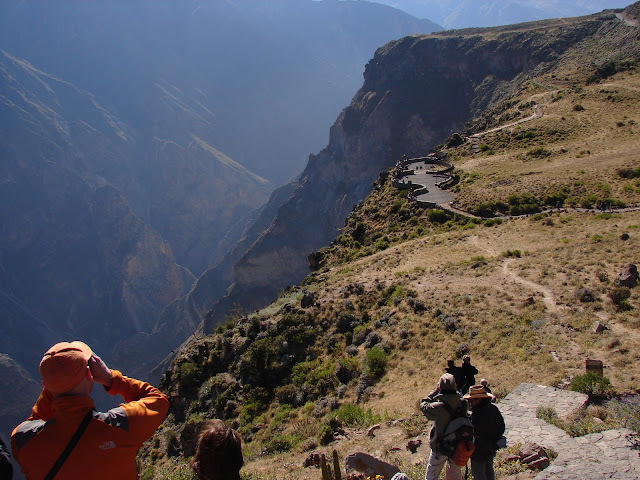 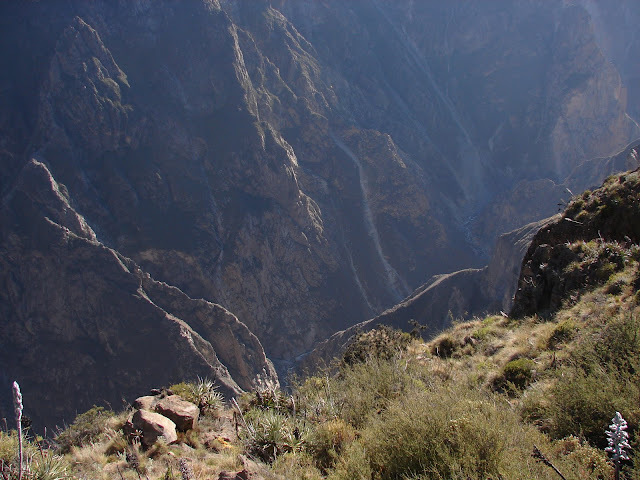 The Colca Canyon was also impressive and is at least twice as deep as the Grand Canyon according to the guide. 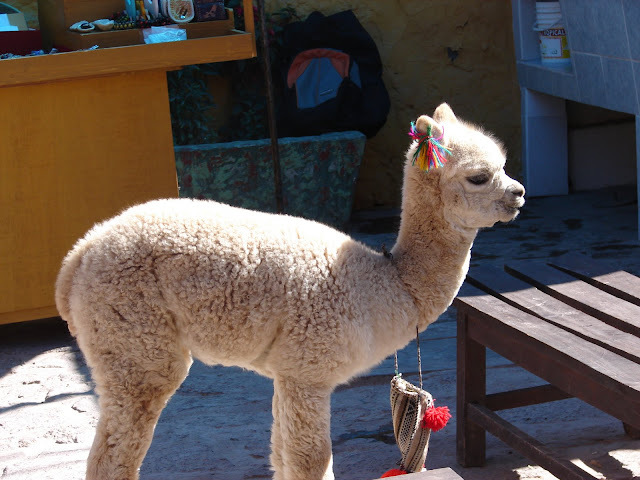 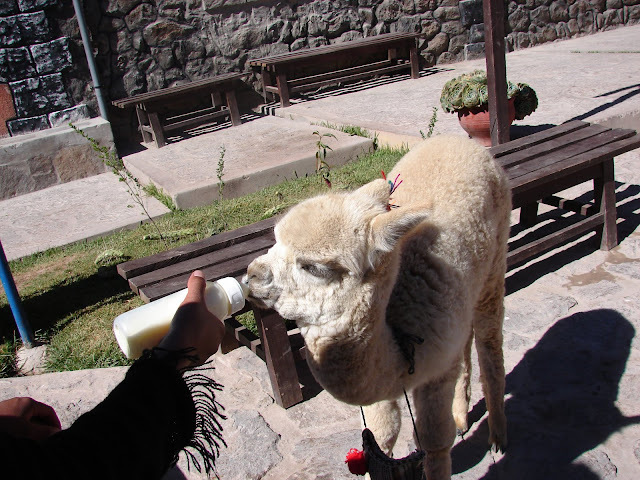 The baby alpaca was the center of attention when we stopped for lunch in the next village.